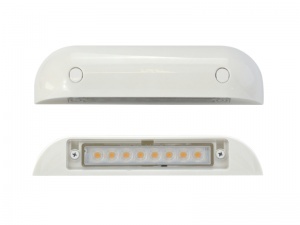 The LED Autolamps door entry scene light is a surface-mounted, exterior 12v LED unit designed for installation above the door of a motorhome, horsebox or trailer to provide entrance lighting. 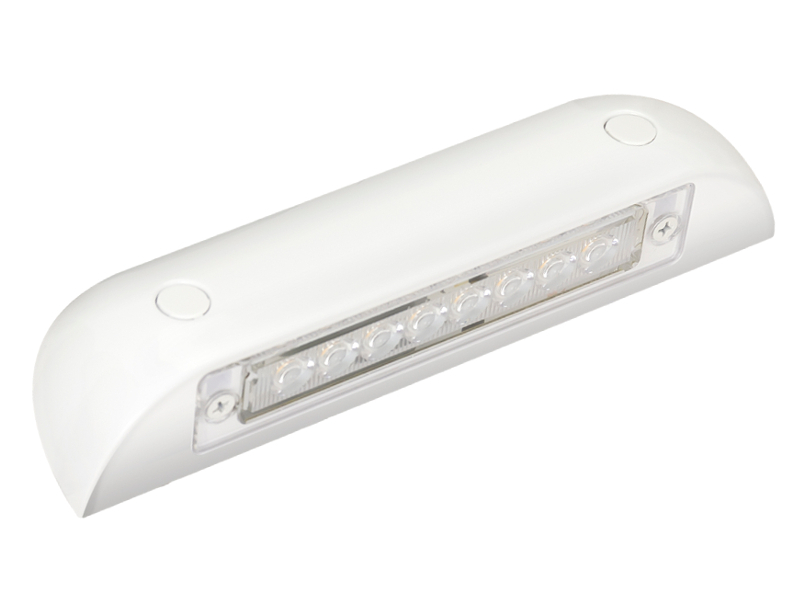 The light is fully waterproof (IP67), 186mm long and features 8 high brightness LEDs with a warm white light output. 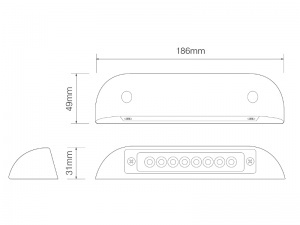 The aluminium housing is angled at approx. 30º to create a downward wash of light which also makes is also makes it suitable for illuminating lockers, shelves etc. The housing has removable end caps to access the fixing holes (fixings included) and termination is via flying leads. This light comes with a 3 year warranty. great light, very bright,only downside no rubber gasket and a little expensive for what it is. Updating all the lights on our caravan renovation I boutght this to replace the old one. A nice neat light with a good warm light output, easy to install and wre in. I drop a star for 1 reason only, being an extarnal light there was no gasket, our van has a slight crinkled skin so I had to use some mastic to seal the unit. I would however without question recomend ths light. Nice little light. Fairly bright to go over my caravan door. Have not fitted it yet, but I expect it will be very good.